This week, 281 spellers - 139 boys and 142 girls - are competing for the title of 2014 Scripps National Spelling Bee Champion. 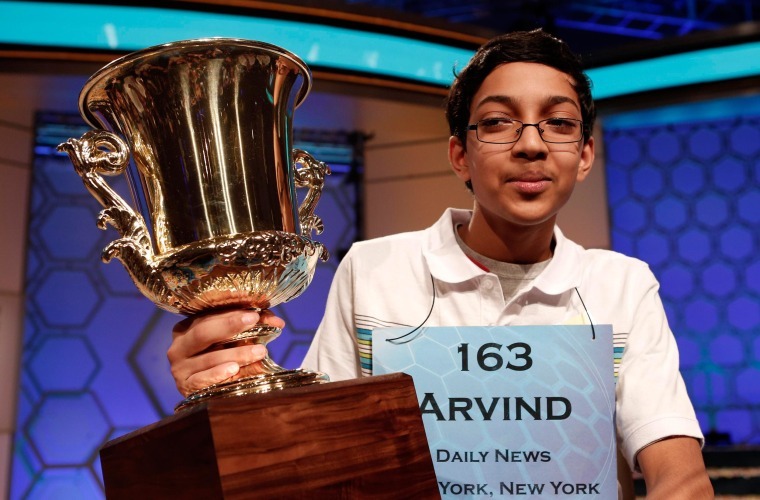 The players range in age from 8 to 15, but the most common age is 13, with 98 spellers. And 190, almost 68 percent, come from public schools rather than private or home schools. In honor of the new group of whizzes taking the stage today, we take a look back at winning words from bees past. How many could you spell? You can follow along with all 281 competitors here.